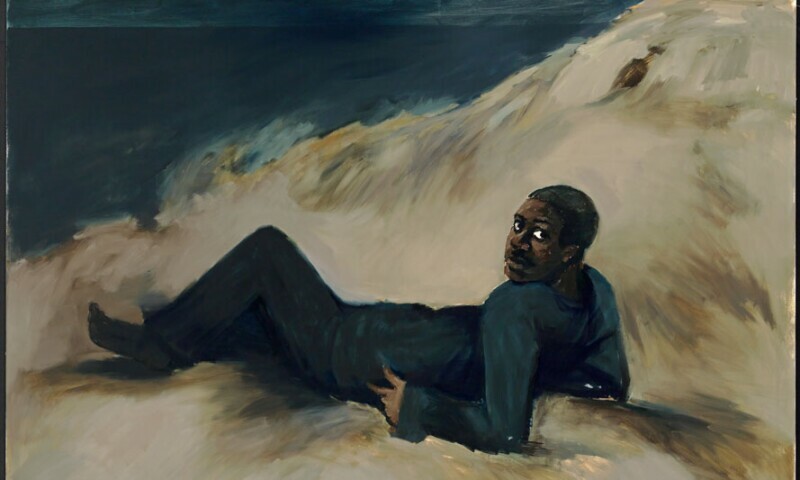 Lynette Yiadom-Boakye, Midnight, Cadiz, 2013, oil on canvas, 70.87 x 78.74 inches. applied with an instant gesture that does not allow for revision—highlighting the material qualities of oil painting and its living presence, while at the same time allowing for an economy of means that, at times, reveals a raw, unresolved space. This exhibition presents a group of works belonging to Sandretto Re Rebaudengo Collection. Dating from 2013 to 2018, the works are highly representative of the artist’s research, in which she analyzes the expressive possibilities of painting while simultaneously unveils its ideological, historical, and contemporary roots.